Support local artisans and makers! Looking for one of a kind gifts? 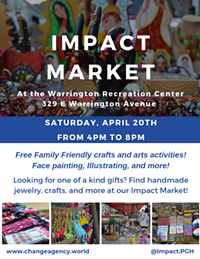 Find handmade jewelry, crafts, and more at our Impact Market! Join us on Saturday, April 20th for an evening of free family friendly crafts, an artisan market, and food vendors. Our monthly Impact Market supports local artists and makers. 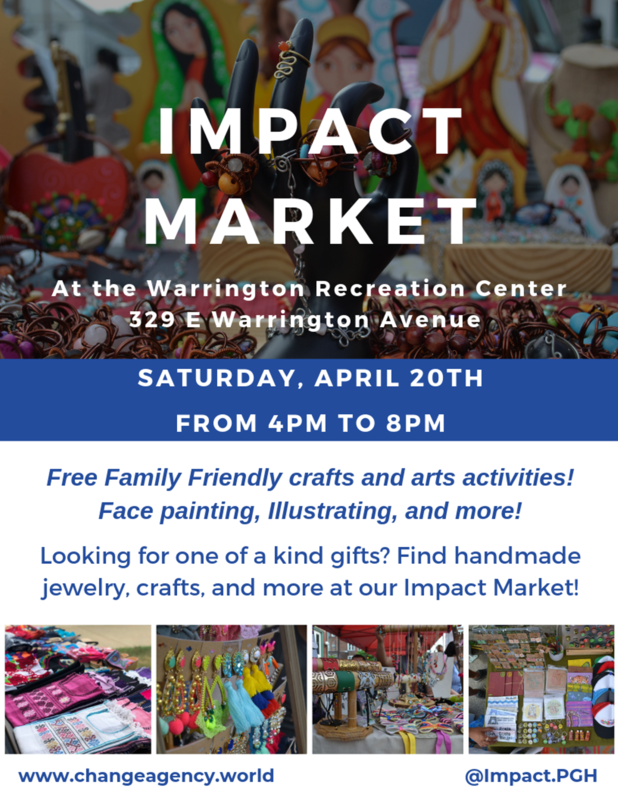 The Impact Market will feature immigrant, refugee, and Black American artisans, as well as two incredible food vendors. All are invited to take part in activities like face painting and art demonstrations that are perfect for curious artists! Food Vendors - Turkish Homestyle Cuisine and Kilimanjaro Flavour We hope to see you there!